This work isn’t always easy. You give us the strength to keep moving forward. We we want to THANK YOU for your generosity and support! 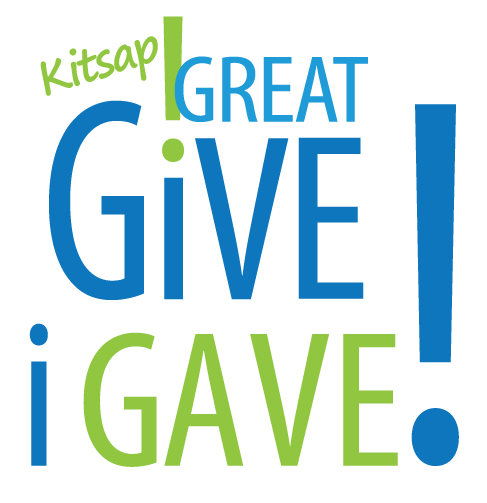 YOUR DONATION DURING THE KITSAP GREAT GIVE SAVES LIVES. Your donations today shows us you care, and you like the work that we do. We’ve accomplished so much because of you. We cannot thank you enough. Thank you to all who support community non-profit organizations. We more than exceeded our expectations with over $18,000 in donations, and more to come with the sponsor funds yet to be distributed. We are a step closer to our dream of a rehabilitation facility. We have a huge network of amazing foster homes that help us save the most vulnerable animals, and a dedicated team of volunteers who work tirelessly to keep KARE moving forward. 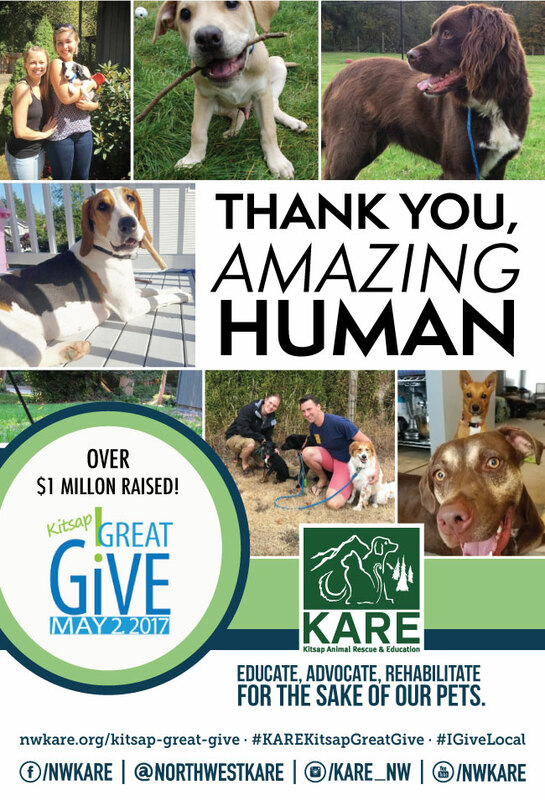 The Kitsap Great Give funding allows KARE to rescue more pets from high kill areas, expand our community outreach and free workshops, and develop a training facility to improve our organization’s day-to-day operations, and provide a safe space for those who are struggling with behavioral issues caused by environmental/social stressors. We are besides ourselves and we appreciate you so much! We also would like to thank the Kitsap Community Foundation for organizing another successful event. The amazing thing about the Kitsap Great Give and the national day of giving is that it highlights over 280 nonprofits in Kitsap County, all working hard to make a positive difference for the folks who live in our community. You are an amazing part of this community, and you can show that with this Profile Pic. Go ahead. “Save As” and let everyone know you gave, and that YOU ARE AMAZING.